I made these cupcakes for Ryan’s Dad’s birthday last month, and they were the perfect ending to a great BBQ birthday party on Cape Cod. I knew I wanted to make something for his birthday, but I’m always cautious when planning to bake in someone else’s kitchen. That’s why I chose this recipe – it’s “semi-homemade”, requires minimal kitchen equipment, and fits the birthday bill perfectly. 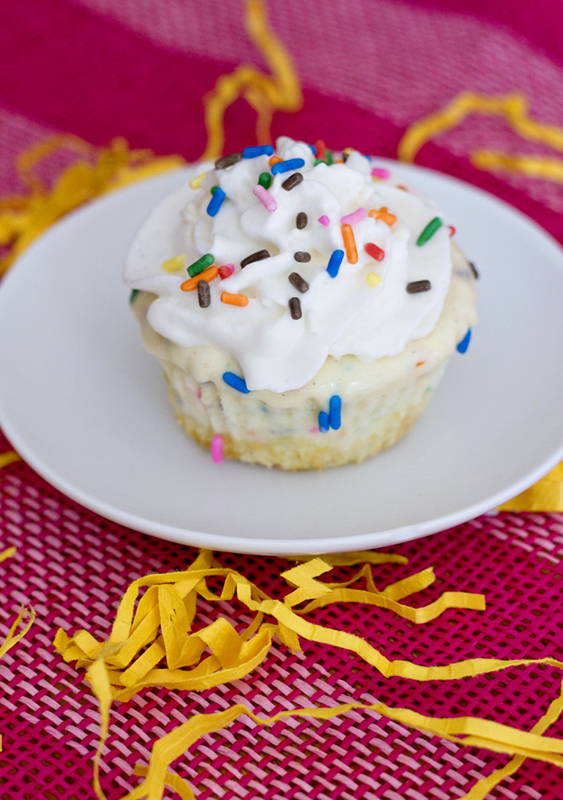 The ice cream is store-bought vanilla with boxed cake mix mixed in and then poured over a thin layer of funfetti cake and topped with some whipped cream and a generous amount of sprinkles. The result is a delicious combo of vanilla cake batter amazingness in cake and ice cream form all served up in one forkful. The trick to these is baking the little bit of cake batter in foil liners. That way, once they’re baked, smooshed down, and cooled, you can pour the ice cream into the liners and they’ll peel away nicely once the ice cream is completely frozen. 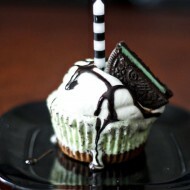 It’s the same technique from the Mint Oreo Ice Cream Cupcakes I made a few years ago. But instead of a brownie/mint combo – we’ve got straight up cake better this time around. It’s an extremely approachable recipe that is perfect for birthday parties, and who cares that it’s almost fall – ice cream is good by me all year round! 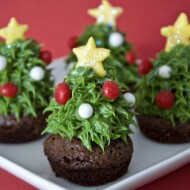 - Preheat oven to 350 degrees and line 12 muffin tins with foil cupcake liners. 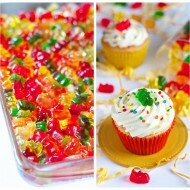 - In the bowl of an electric mixer, combine the cake mix, sprinkles, egg, water, and oil. Beat on medium speed for 30 seconds, then increase to medium-high speed for 2 minutes, until well mixed. 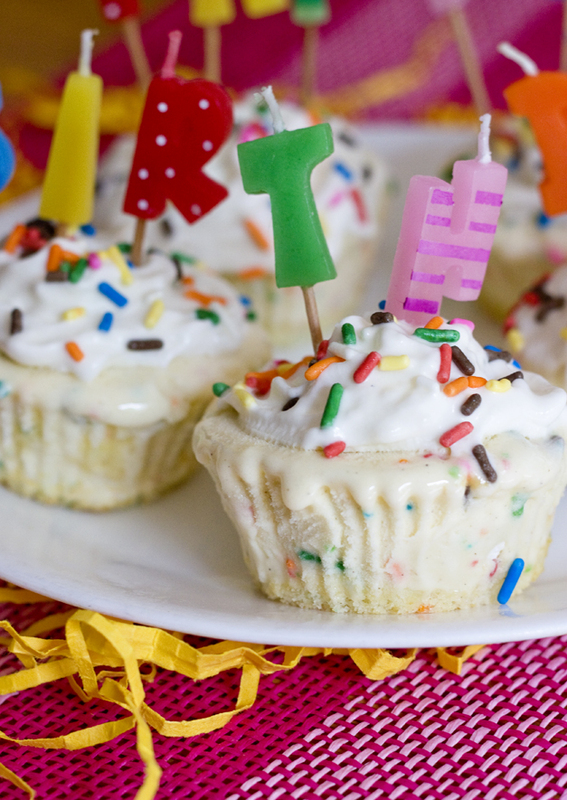 - Pour 2 tbsp of cake batter into each cupcake liner and bake for 10 minutes. Cupcakes will have risen during baking, so use the bottom of a measuring cup or shot glass to compress the cake down to a thinner layer. 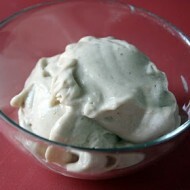 - Let the ice cream sit out for a bit to get soft, then transfer to a large bowl or the bowl of an electric mixer. 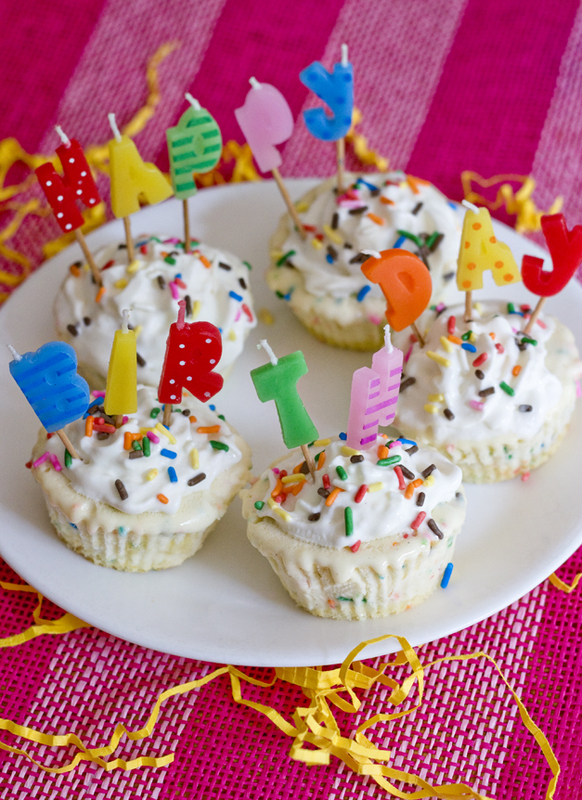 - Use the beater blade on your mixer or a rubber spatula to mix in the cake mix and sprinkles until well incorporated. 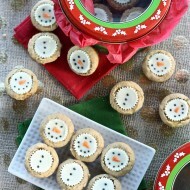 - Divide the ice cream among the cupcake liners until they are all full flush to the top. 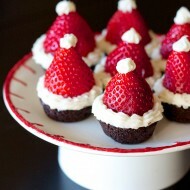 - Place cupcakes in the freezer for at least an hour to firm up. 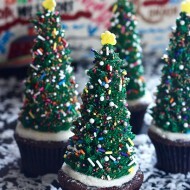 Keep cupcakes in freezer until right before serving, then top with whipped cream and sprinkles and enjoy! 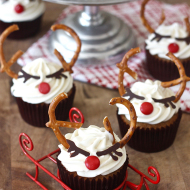 I love this idea–such a neat treat for any potluck or party. It’s always nifty when you can whip up a showstopped on somebody else’s turf. Thanks for sharing; can’t wait to give these a try soon! They’re adorable. What a great idea! Good luck with the study. I’m sharing your post on my Cupcakes, LIes, and Dead Guys FB page. (I write a cupcakes themed mystery series where Annie, a baker, has a pinch of psychic ability and talks to ghosts to help solve their murders.) I love sharing good recipes. Thanks! I made this for my Birthday/Going Away Party and it was a HIT! I quadrupled the recipe for a 12×18 cake pan and it turned out wonderfully! how many cupcakes does this recipe yeild? 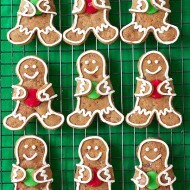 I am going to make these for my sons birthday party on Friday. I was wondering if they need to stay in the cupcake land the whole time even while freezing. Thanks! No, as long as you use foil liners they shouldn’t need to stay in the pan! Pan** I don’t know how that happened! Was not sure if they needed to be covered in the freezer or not ! and with only 10 min of baking the dough was still kinda wet . i guess after it freezes you wont be able to tell ?? I didn’t cover mine, but I didn’t have any meat or anything in my freezer at the time. I would suggest continuing baking until the dough is no longer wet (maybe your oven is different), but I’m sure they still came out great!